Do you have a young girl in your life that likes dolls? If you do, you have likely already heard that America Girl is coming to Ottawa. 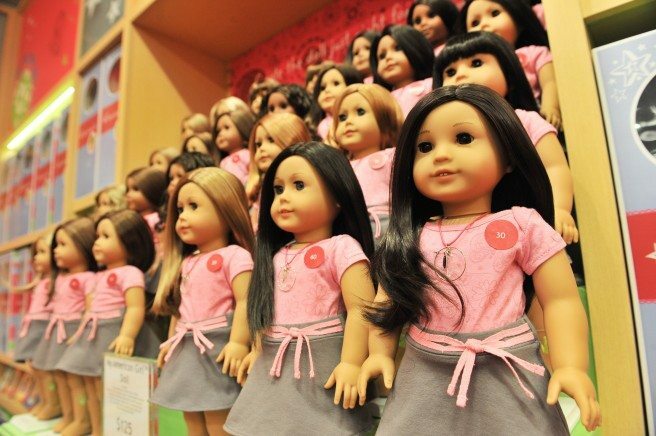 Not to be confused with the CanCon-approved Maplelea Girls, American Girl dolls are the biggest thing to hit the doll scene since Cabbage Patch Kids. I’ve heard the excitement at stores in New York City rivals Black Friday madness. So will Ottawans latch on the idea of dressing up like your doll, booking salon services for your mini-me, and otherwise taking society’s fascination with dolls to the next level? Only time will tell. The store opens on Saturday, October 11. In this edition of SHOP TALK, OM editor Dayanti Karunaratne explores the culture surrounding American Girl — and gets some tips on getting her own 2-year-old into independent play — through a Q&A with Lesley Nightingale, VP IndigoKids and a spokesperson for American Girl. American Girls are coming to Ottawa! What makes American Girl dolls different from other dolls?